Dubai is the destination for many, not just for holidays but also for many other events. Planning an event in Dubai can be most beneficial decision one can ever make as Dubai event planners have the capability to organise super quality seminars/concerts that attract delegates. From a small trading port to a flourishing business city, the metamorphosis of Dubai has been spectacularly unbelievable. A place that has the best of everything. This metropolis offers one of the most striking architectures in the world, sand-dunes and a beach life to complete the experience of Middle East. Organising a conference from the initial status requires a tremendous amount of forethought and data gathering. By following given steps for planning an event in Dubai, you can definitely organize your next event successfully. As we know Dubai is all about experiencing extravaganza and luxury, so firstly you need to analyze how much can you invest in launching an event in city like Dubai. Don’t just estimate a budget number; actually break down your proposed budget into categories and determine exactly how much your company or group can spend on facilities, catering, printouts, and even “small” items like lanyards and name tags. You need to get an estimated budget for various elements, right from the venue charges to décor, from food to stage arrangements and any additional requirements, is crucial. While planning an event in Dubai, don’t forget to add a contingency line; your event is probably going to cost more than you expect, and building contingency into your budget ensures you don’t accidentally overspend. As you begin planning an event in Dubai, ask yourself “what does your audience expect out of this event?” Remember, if your guests are local people, then you need to take time to research about Dubai audience. Understand what your audience is looking forward to learn, when the audience leaves the seminar, they would be able to incorporate their learning at their workplace. While planning an event in Dubai, especially networking event, make sure you include plenty of time for audience members to interact with one another. Basis your agenda and audience, you have to guide your Graphic Designer to make the blueprint of event. You can build a substantial list of potential attendees by doing some homework first. Here is a great post on finding your audience through LinkedIn, the biggest B2B online social networking platform. When you plan an event in Dubai, you must also hire presenters to do the actual teaching and talking. Sometimes there is someone in your own office or within your corporate relationship who is perfect for the presenting job, otherwise you might need to turn to third-party sources to hire your presenter. Look for someone who is engaging & who can speak expertly on the assigned topic in an entertaining manner. Check dates with key participants – E.x – Speakers, Presenters, VIP Guests, etc. Any event management company in Dubai can help you out in searching appropriate venue based on your goals and objectives, but only the best event organizers in Dubai like Promo Events will be able to show you true gems of locations. The venue plays a pivotal role while planning an event in Dubai. The foundation for the event can determine future of the event. The event venue requirements vary depending upon the event type and size. If the event is going to be a combination of a gala dinner, a product launch, a concert or business conference – Dubai International Convention and Exhibition Centre serves as a multi-purpose venue. You can also find innumerable exotic resorts in Dubai like Radisson Blu, Hilton Fujairah Resort, Fujairah Rotana Resort & Spa, Marjan Resort & Spa, Cove Rotana Resort, Danat Al Ain Resort Hotel and Asfar Resorts at famous places –Fujairah, Ras Al Khaimah & Al Ain . They all have good guest hospitality, thematic décor, food & a great atmosphere to enjoy your event in the most relaxed way. In summer months, you can plan your event in luxury hotels like Dubai Polo & Equestrain Club, The Address Montgomerie Dubai, Bab Al Shams, Atlantis The Palm Hotel, The Crowne Plaza, Conrad Dubai, Armani Hotel, Dubai and The Ritz Carlton Dubai. In some cases, you can even use your office’s conference facilities for your meeting. However, if you are planning a larger event that will not fit into your existing conference space, you will need to select and confirm another venue. Many venues are booked months in advance, so secure your venue as soon as possible. Don’t forget to consider factors such as location, parking, and offered amenities before making your final decision. Events do not happen on their own, you need to hire required equipment’s & furniture to make it done. If your venue can’t provide everything you require for the event, & you need bespoke items such as branded banners, then you will need to search an external supplier to hire additional equipment’s and tools. You will also be required to make arrangements for caterers, printers, audio/visual equipment companies, banner designers, and a host of other staff and suppliers to get the job done. While planning an event in Dubai, you are also required to consider other important things in context of hospitality – whether coffee should be served when guests arrive or tea? Will lunch be served – Would it be local based – Dubai Special Food or any other cuisine? Will each guest receive a complimentary pen, mug, diary or other corporate swag? The more items you include in your event, the more suppliers you will need to secure. Whether you opt for a series of keynote speakers, a line-up of Dubai live bands, or you simply want to play some music in the background while your event takes place or you want to organize Dubai Special Arabic/Belly Dance, you will need to plan this as early in the process as possible. While planning an event in Dubai, if you would need to book a live performer or speaker, you will also need to take their notice period into consideration. While some may only need a few weeks’ notice, others may require to be booked months in advance, so choosing who will provide the entertainment is something you don’t want to leave until the last minute. 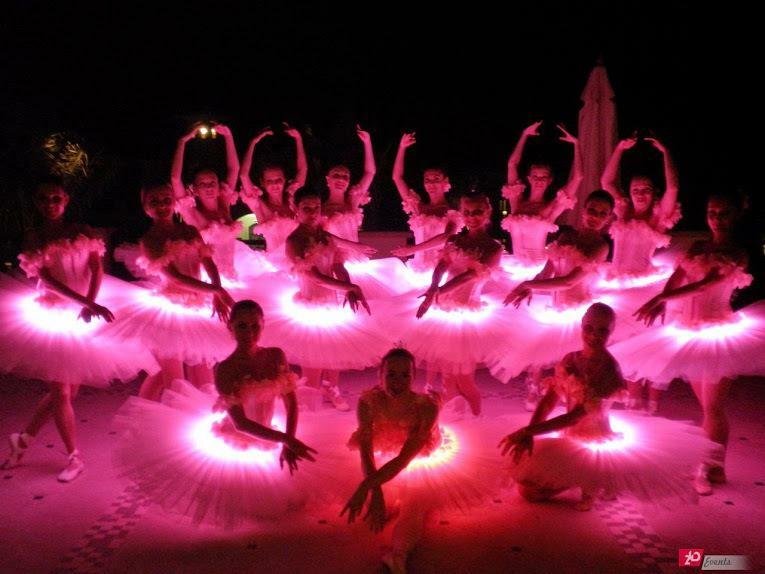 You must also look for premier event management companies in Dubai which can provide MICE services for the event. You can approach Promo Events for this, one of the experienced event planners in Dubai for MICE tours. If you want your event to stand out, you need to choose a timely and compelling theme that sets you apart from your competition. This means that while planning an event in Dubai, you need to come up with a dynamic overall theme and you need to take great care with the name you want to choose – since it can be a key attention-getter, especially in online media. Choose a Brainstorming name for event:Think about a unique name different from events happening in your sector. Also, think what is the name conveying through this event. Create a Tagline:Once you decide a name, also try to craft a catchy tagline – a short & crisp memorable branding slogan that describes the event. Publicity is an important thing to include while planning an event in Dubai. Event promotion starts with the initial notice or a specific page on your website, note in your newsletter or an email to save the date, and then builds to include online and off-line publicity, media relations and on-going outreach to encourage registration. And no plan is complete without the post-event thank-you’s, sponsor acknowledgements and articles about the event’s key messages or fundraising success. You need to be on your toes while keeping track of your planning, registration, budget, guest and speakers lists. You must also search for organizations that can partner with you or you can call for sponsorships to defray costs and increase potential participation. When you involve other people or groups in your event, they have a stake in helping spread the word and making the event a success. While planning an event in Dubai, you can partner with corporate sponsors to fund a portion of the event. Whereas partnering with community organizations in Dubai might be able to offer a venue and/or assistance with organizing or staffing an event. Dubai event agencies are best at pre-planning. In order to avoid last minute hiccups, it’s best to have everything jotted down in a plan. Precaution is better than cure. Make notes of everything including scripts to prevent any mishaps and help result in making the event a big success. Dubai is a very convenient place and you can get just about anything up to the very last minute, so having a little bit of assistance in knowing where to get what from will definitely keep you more calm during the event. Once you get secured with speakers, venue, & suppliers, you need to think seriously about the event schedule. Having a definite timeline is equally essential & will almost tell if the event is going to be successful or not? You need to clearly define priority of work, so that events can run smoothly. While planning an event in Dubai, a little bit of homework is essential to eradicate obstacles to last minute necessity. When the session will start? How many and of what duration and of what time, breaks will occur? When meals or refreshments will be served? Then, work with your corporate client and your selected speaker to plan the smaller details of the day. For instance: How long will the first session run before there is a breakout activity? Ideally, you should change focus every 20 minutes – from lecture to breakout, or from lecture to Q & A, since this is generally the length at which people can focus their attention before needing to recharge. While planning an event in Dubai, don’t forget to send your schedule to the attendees well in advance. One good way of getting feedback is through feedback form. To make sure that your clients give you feedback, make the feedback form part of your Exit pass form. To get feedback from guests, make feedback form part of your gift voucher. A guest can redeem the gift voucher only when he/she fills the feedback form and give it back to an attendant. These tactics are required to get feedback, as people are generally reluctant to give any feedback in writing. MICE tourism brings an extra element of glamour & enjoyment into business meetings and conferences for the delegates and attendants. With the constantly progressing business world, technology and transportation have made long-distance meetings easy. Today organizers have got a lot of choice to decide upon destinations for MICE tourism. Whether it’s a meeting to bring people together belonging to one company or across industries, an international conference of 500 delegates, product launch party or exhibition, MICE tourism finds itself being inevitable in all the occasions. Large companies with numerous employees often choose to host various corporate events in some of the world’s famous cities. Here are ten currently popular destinations with sites where such happenings can be organized. Being China’s main financial hub, Shanghai has a long-standing tradition of MICE business, which has continued to grow in the past few years. This city is readily accessible by sea, land and air. It is connected with more than 400 cities in the world by air links and ocean shipping routes. It is also a very safe city, conveniently laid out and a compact destination with one of the world’s easiest and least expensive public transportation system. Everything in Shanghai is within reach via taxies, bus, metros, trams and ferries. New venues are popping up so fast it feels like they are being cloned, from small hotels to the biggest of exhibition centers. Shanghai is China’s financial capital, but it is equally impressive for its tourist spots. Some of the destinations for MICE Tourism in Shanghai are Zhujiajiao Water Village, Shanghai Urban Planning Exhibition Hall, M – 50, Dongtai Road, Shanghai Ocean Aquarium and Fuxing Park. Sydney has once again been recognised as one of the top destinations for MICE tourism according to the latest International Congress and Convention Association Country and City Rankings (ICCA) report. The city boasts one of the finest centres for events and corporate meetings in Australia, Le Montage, with various amenities to suit all the corporate needs. At the same time, the attendees can enjoy the views, as well as the culinary and cultural experience. Sydney, the state capital of New South Wales, is a dynamic business hub that boasts stunning natural landscapes, a cosmopolitan culture and a year-round temperate climate. The region offers two unique landscapes: Pristine beaches and tropical rainforests. The city boasts world-class infrastructure and easy public transport, making it convenient for MICE guests to get to and from events. The accommodation facilities include over 33,000 hotel/motel rooms and serviced apartments across the city and its outskirts. Sydney’s MICE experts also go above & beyond to establish a link between the “visitor economy” and the “knowledge economy” to cement their reputation as a premier location for meetings and conferences. The top destinations for MICE tourism in Sydney are Sydney Harbour, Sydney Skywalk, Manly Beach and Watson’s Bay. Japan is the ideal location for international conferences and incentive tours with its highly-developed infrastructure, world-class venues and excellent facilities. This city offers a wide variety of accommodations, wealth of tourist attractions, superb level of hospitality, safety, cleanliness and above all, professionalism. With a thriving economy, culture and industry, Tokyo is one of the world’s most populated and exciting cities that blend a strong sense of history with up-to-date trends and fashions. It is home to major international conference facilities like the Tokyo International Forum and large-scale exhibition centres such as the Tokyo Big Sight, located in the waterfront sub-centre of the city, and site of the largest exhibition halls and meeting facilities in Tokyo. In addition, each major district of the city offers a unique entertainment experience, with museums, concert halls, art galleries, major department outlets, and more. The tourist destinations for MICE tourism are Nakamise, Sensoji, Tokyo Skytree, Tokyo Disneyland and Imperial Palace & East Garden. Dubai in the recent years has positioned itself as a cosmopolitan yet charming destination for MICE tourism. It’s a cosmopolitan city strategically located between Europe and Asia offering world’s best infrastructure for MICE. Be it air connectivity, hotels, venues, activities or events, you have them all in one city and a combination of that with Pacific World standards make it a perfect destination for MICE tourism. With plethora of world class hotels and resorts, Dubai is full of meeting venues. One can choose from private yachts to outdoor terraces, landscaped gardens, private beaches, grand ball rooms to convention centers. Not only in the Middle East but in the rest of the world, Dubai has successfully established itself as one of the densely visited tourism destinations. The importance of Dubai as a Mice destination has not only kept increasing Emirates airlines to increase the number of its world destinations, but also flight capacity. The famous destinations for MICE tourism in Dubai are Burj Khalifa, Miracle Garden, Palm Jumeirah, Burj Al Arab Beach, Jumeirah Mosque and Dubai Aquarium. The capital of Germany and one of the European leading business centers, Berlin showcases numerous hotels and sites available for MICE events. One of those is the already renowned CityCube Berlin. Berlin, one of the delightful destinations for MICE tourism is located in the heart of Europe representing a connection between East & West. Rather you are seeking for cultural and historic experiences or new innovations, Berlin will not disappoint you at all. On one side you can discover over 175 museums and World Cultural Heritages, on the other side you can experience twelve different neighborhoods with their unique atmosphere. Because of Nature, Fun and Adventure, Goa has emerged as one of the great Destinations for MICE tourism around the world. With standard facilities for conferences; unique incentive options and cost effectiveness, it is counted as one of the ideal destinations for MICE tourism among business travellers. Superb conference resorts in Goa offer sophisticated and contemporary amenities for arranging the best conference in Goa. A big queue of hotel and resorts provide excellent conference facilities in Goa. Conference halls in Goa Hotels and Resorts are equipped with all the latest services and facilities including easy internet connectivity, projector for slide show presentation and other important means of communication, among others. These conference halls give proper seating arrangements to accommodate hundreds of delegates coming here to attend the conferences. You can easily rely on Goa hotels and resorts for holding important corporate meetings and conferences of the business travellers. Beaches like Arambol, Colva, Baga, Calangute and Agonda embrace the beauty of Goa. Auckland is not only the largest city in New Zealand, but it is also a world-class international destination for Mice tourism, best renowned for its stunning natural beauty and vibrant city culture. Getting to Auckland is easy as the city can be conveniently reached by water, air, rail, and road. Its excellent connectivity has contributed towards its reputation as an incredible MICE destination. This destination for MICE tourism has a number of meeting venues near Auckland Airport, which is located south of the city center. The city also has more conference and convention options than any other city in the country. Special event venues in Auckland include Auckland Museum, which contains an events centre for 600 persons; Alexandra Park, which has nine rooms that can hold up to 1,000 guest and Royal New Zealand Yacht Squadron, which has space for up to 500 persons. Some of the popular tourist attractions in Auckland are: Skycity Skytower and Casino, Waitemata Harbour, Auckland Art Gallery and Waiheke island. With the vibrant culture and advanced technology, the city is one of the best destinations for MICE tourism attracting more travellers from various nations making it a major incentive travel destination in Asia. Coex and SETEC, located in the heart of the city, are Seoul’s representative convention centres. Being part of convention complex, they house twelve 5-star & 4-star hotels all within a 10-minute distance from the convention centres. The hotels serve as convention venues for international conferences & corporate meetings, and are fully equipped with the required services and facilities. Seoul is one of the most delightful destinations for MICE tourism that embraces the beauty of both modernity and traditions. Having 5 ancient palaces along with 5 World Heritage Sites designated by UNESCO, Seoul is living history of 600 years as the capital of the Chooseon Dynasty. Seoul’s cuisine options do wonders in attracting people to the city. Whatever you have, wherever you are, the food will never fail to satisfy you. Whether it’s fine dining or a casual street food, you will find traditional Korean food, a variety of western cuisine, and fusion cuisine served all throughout the city at restaurants that make you feel like eating at home. Singapore is a global transportation, commerce and financial hub, making it the perfect place for meetings, incentives, conferences and exhibitions (MICE). World renowned Singapore Exhibition & Convention Bureau establishes Singapore as a dynamic business events destination where an ecosystem of technology, people, ideas & technology draws on a vibrant knowledge & wide networks to tailor success for you. Singapore is cementing its reputation as one of the world’s leading hi-tech meetings’ destinations. One of the most popular meeting places is the grand Park Royal which combines business and beauty of the city, while the first premier eco-green venue in Singapore – Expo Max Atria is already a popular destination for MICE tourism. The unique artistic expression of the nation can be seen through the breathtaking cityscape, while its culture welcomes being explored. Another one of the best destinations for MICE tourism is Vienna that is centrally located in the heart of Europe and connects with 179 destinations worldwide. It has a safe and extremely efficient public transportation system. Vienna is an ideal combination for MICE, Business & Leisure Travel. It is famous for its easy accessibility, safest destinations, beauty and charm. Perhaps no other city could boast of such elaborate and varied choices to host Mice programs. With 3 convention centres, over 93 fully equipped large conference enables hotels in all categories and to suit all budgets, holding a convention or a congress or an incentive program is a preferred choice of conference organizers throughout the world. The Austria Centre convention centre can accommodate upto 15000 persons while the Hofburg Vienna can accommodate upto 5000 persons. The Messe Wien Exhibition and Congress Centre can take upto 30000 persons. Sightseeing in Vienna is of a very high quality with historic palaces and museums. Places of interest in Vienna are Schonbrunn Palace, Hofburg Imperial Palace, Belvedere Complex and Ringstrasse. Day trips to Innsbruck and Salzburg could also be part of the itinerary. Like Vienna, Salzburg is also an excellent destination for mice tourism. Travelling to Salzburg is easy and comfortable as it has very good train connections, modern infrastructure and a variety of flights from all over Europe.